to sit above the trail. “View” was written after spending a day at City of Rocks, almost an hour away from Silver City, where I live. 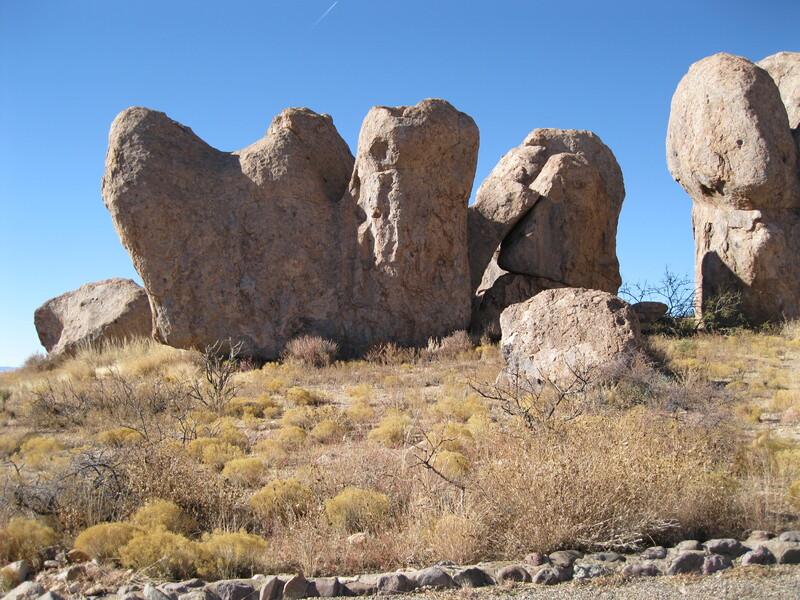 Finding a sheltered place to sit and write, taking in everything around me, wondering how these mammoth rocks came to be in the midst of desert, this poem was born.